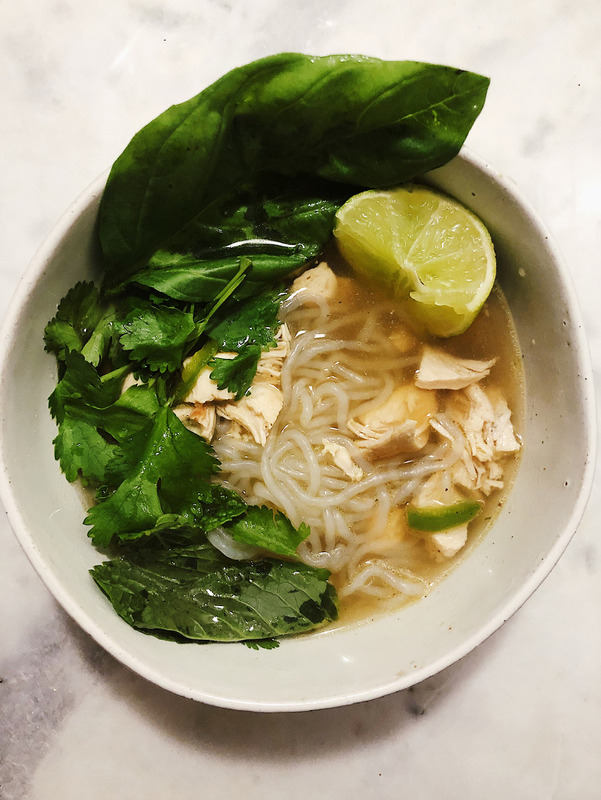 Authentic pho takes about 6 hours but here is a 20 minute LOW CARB version that tastes insanely delicious! I also used miracle noodles for the first time and I can’t believe how similar they are to rice noodles! In a large pot, add broth, jalapeño, ginger, and fish sauce, let simmer for about 15 minutes. Drain and rinse miracle noodles, and sauté in a pan for about two minutes. Add chicken to pot. Divide noodles into 4 bowls, spoon pho over the noodles, and top with basil, cilantro, and mint. Add the juice of a lime wedge.